Shorter and sharper looking version of Leon. Impressive combination of ride and handling. Good value for money. Pitched as a coupe so not quite as spacious as the five-door Leon. High boot lip makes loading awkward. 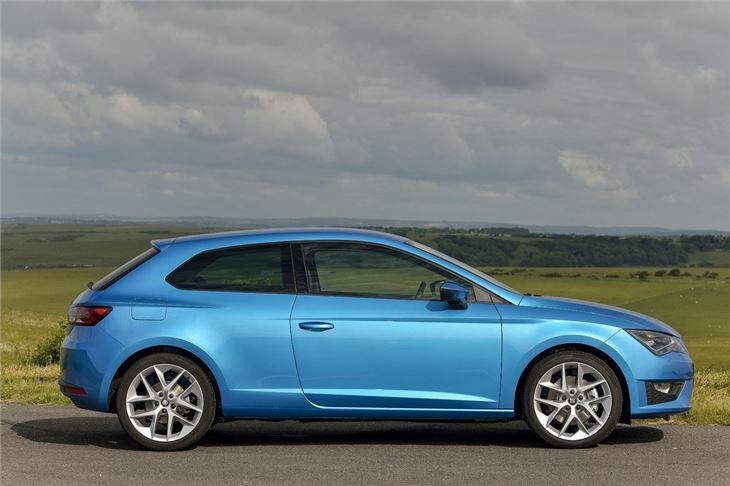 This is the third generation of the Leon, although it's the first time the model has become a three door. 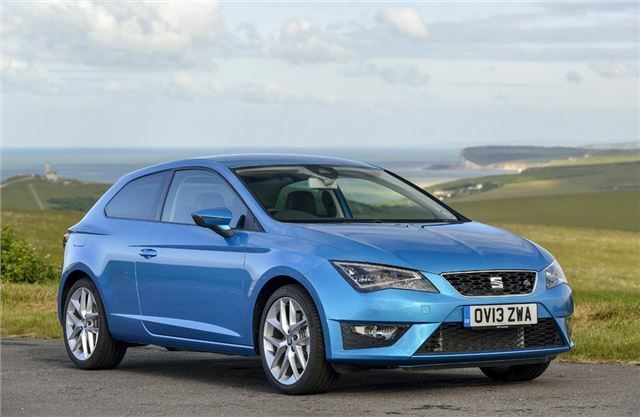 Last time around, the Leon’s ‘hidden’ rear door handles led SEAT to believe the five-door was 'coupe-like' enough to not bother doing a three-door. 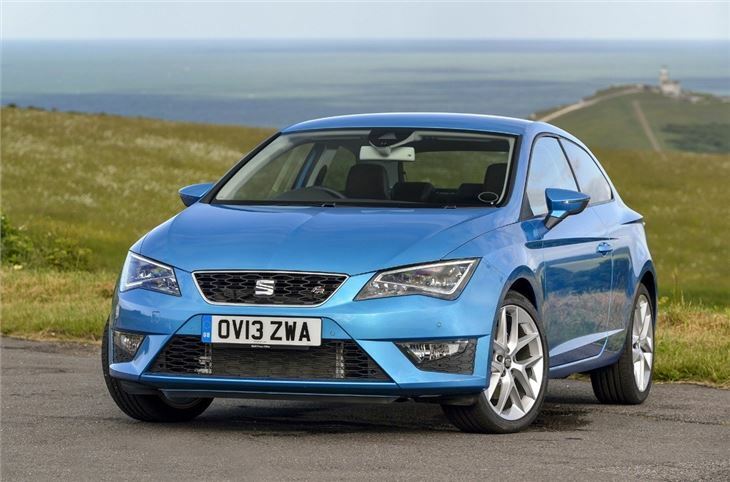 Today's five-door and three-door Leon models are quite distinct. 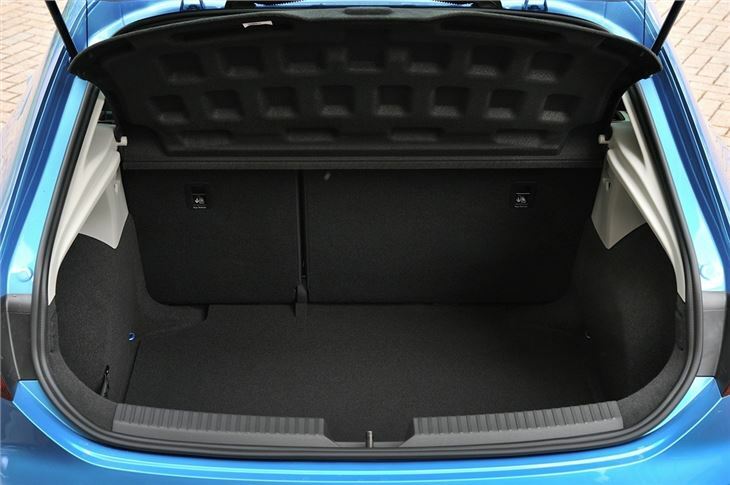 Instead of simply removing the rear doors, SEAT has changed the styling for the SC in a subtle but real way. The roofline is lower and the so-called blisters above the rear wheel arches are more pronounced, for a wider, sharper look. 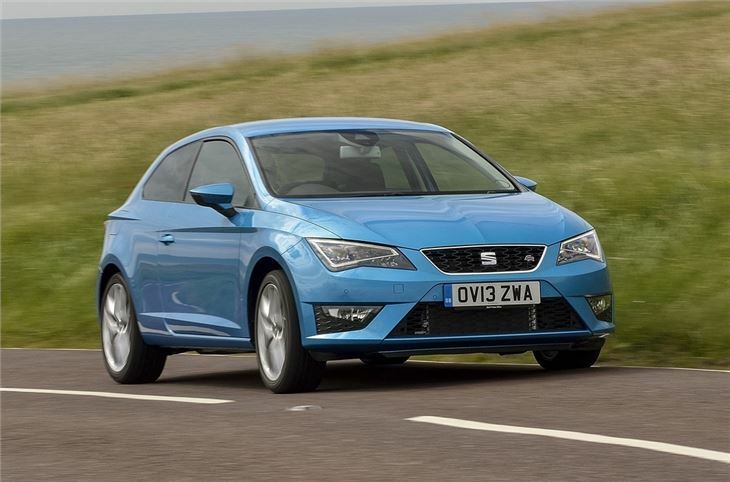 With that in mind it’s to SEAT’s credit that, unlike some other manufacturers, it has resisted the urge to add the coupe premium that makes the less practical version of a car the more expensive one. 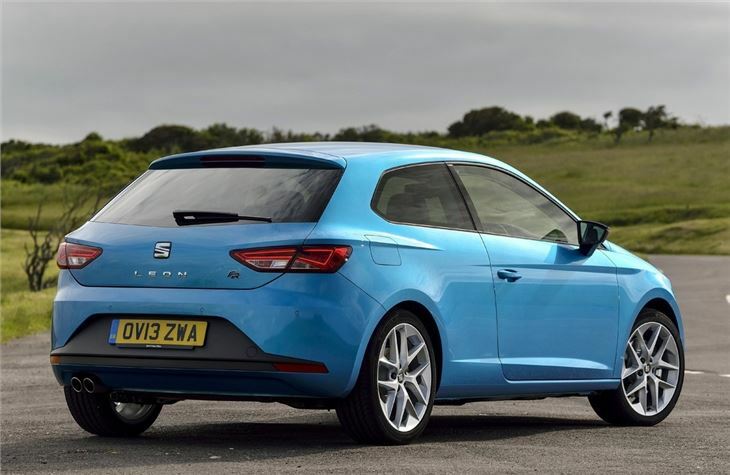 You’ll pay a few hundred pounds less for a Leon SC than you will an equivalent five-door, meaning one of the most stylish three-door hatchbacks around is also great value. Based on the Volkswagen Golf platform, as are the Audi A3 and Skoda Octavia, the Leon SC is the most sharply styled of all the Volkswagen Group hatchbacks, while its interior quality runs the Golf very close. It’s the best to drive of all four of them too, certainly on a pound-for-pound basis. And despite being cheaper than the Golf model-for-model (or as closely as you could compare the two) there’s a huge range stretching from the 110PS 1.2-litre petrol to the 2.0-litre turbo Cupra model with 290PS. There are many petrol and diesel engines in between, of course, although there’s no hybrid petrol-electric version of the Leon. In a move designed to represent the upshift in quality, style and technology of the latest Leon, it was launched as the first production car available with full-LED headlights. 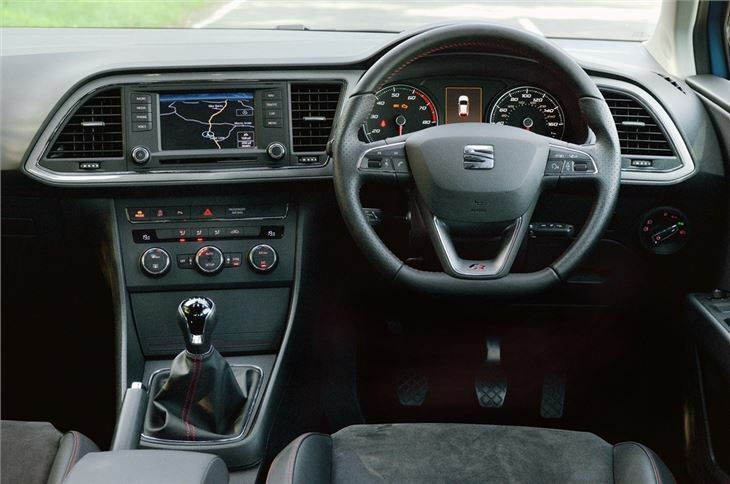 Optional, but the company shrewdly bundled them from the start with SEAT’s very impressive touchscreen multimedia system in a reasonably priced Technology Pack to encourage their appearance in as many cars as possible. It’s a wise option to tick, or to look out for if buying used. Excellent choice...looks smart and drives brilliantly!